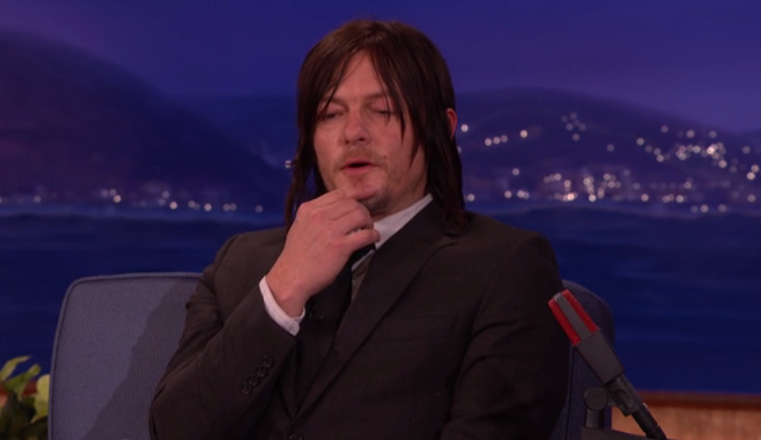 Norman Reedus appeared on Conan recently, and mentioned one of the acts he refuses to perform unless absolutely necessary is horse-riding. The character of Daryl Dixon was originally written to have a horse instead of a motorcycle, but Reedus’s resistance forced a rewrite. It turns out Reedus doesn’t like horses because of their “big eyeballs” and “they can smell your fear.” At least that’s what he tells Conan. CONAN: I’m a huge fan of the show. And such an iconic part of your character is motorcycle and the bow and then I find out that originally you were supposed to ride a horse. Is that right? When you first went out for the part? Your character is supposed to ride around on a horse and you nixed that? NORMAN: I saw it written. And I kind of — I’m kind of afraid of horses with their big eyeballs. And they can smell your fear. And all that stuff. CONAN: I can smell your fear. NORMAN: I’m sure everyone can smell my fear. But then I did this movie with Robert Redford in order called “The Conspirator” and I was supposed to pull up on a horse and yell at people and be real tough and the horse went like this like it knew what I was doing and about two seconds into it the horse would just start to like trot backward and get in single file line with the other horses. And I could hear Redford screaming “someone handle Norman’s horse!” And I’m going to get fired off this job. And I just — I thought — I thought the same thing. When I read that in “the walking dead” script whose motorcycle is that? And they’re like it’s your brother Merle’s. If Merle could ride a motorcycle, Darrell probably knows how to ride a motorcycle. I spun it into that. CONAN: That’s very smart and also you’re living in a world where things become zombies. 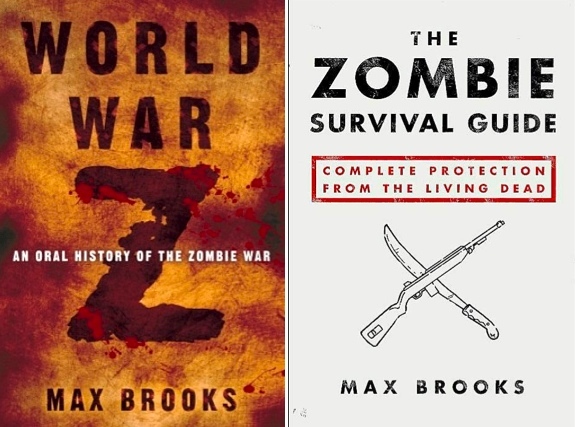 A horse could become a zombie horse. And attack you. And that’s another argument you could have made. CONAN: And a compromise you have to ride a horse that rides a motorcycle. 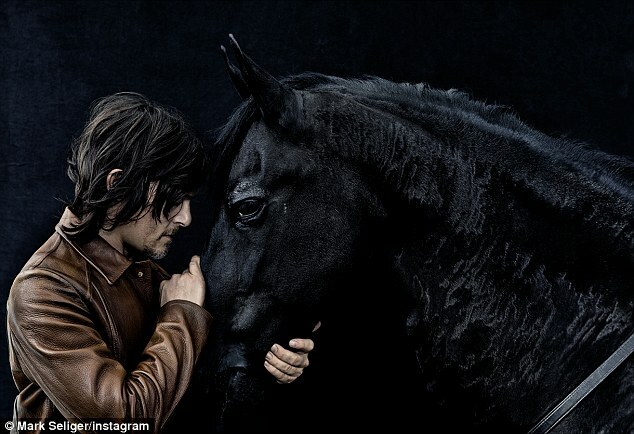 Reedus has had to ride a horse exactly once on The Walking Dead….back in Season 2. The scene ended with the horse throwing Daryl down a ravine (thank goodness for stuntmen). He’s shared scenes with horses since, but has never been forced to ride one again.